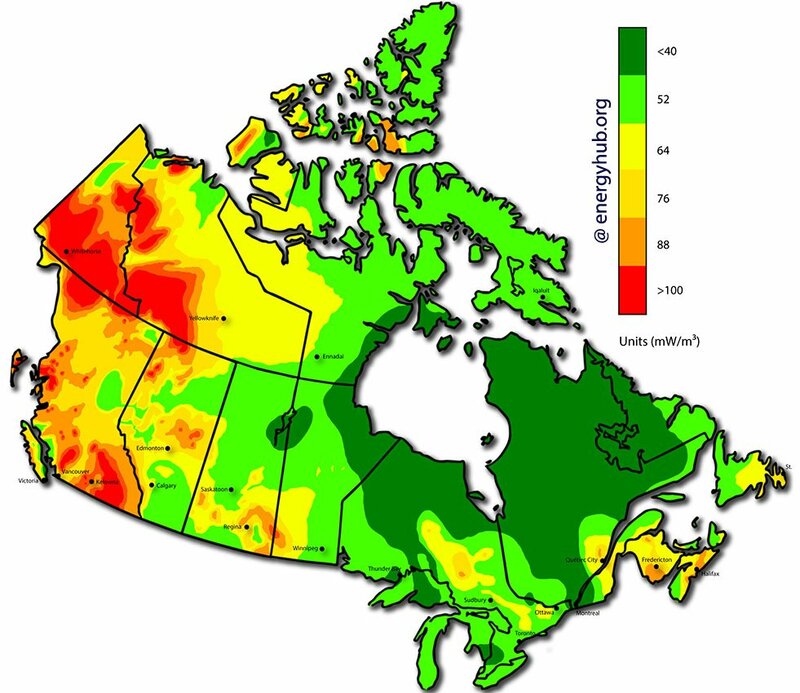 This page contains a complete set of solar energy maps (also called solar insolation maps, solar photovoltaic maps, and solar irradiance maps), along with the estimated monthly solar production for every province and territory in Canada. *Methods: Solar irradiation was calculated using the “municip_kWh” spreadsheet from the photovoltaic potential and insolation dataset from Natural Resources Canada. Average annual irradiation where the installation angle equals degrees latitude -15 from the top five populated cities from each province was used. A 25% efficiency loss factor was then applied before getting the final kWh/kW/yr number. 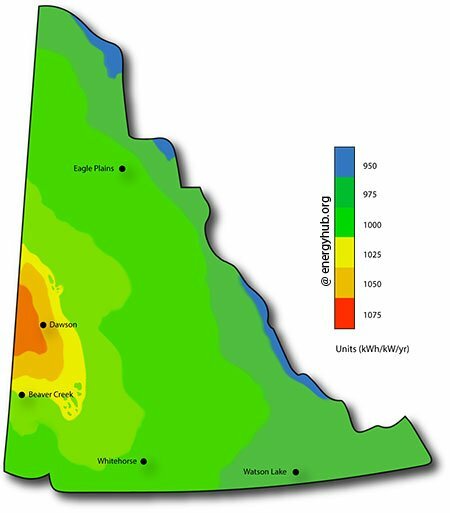 What Are Solar Energy Maps? 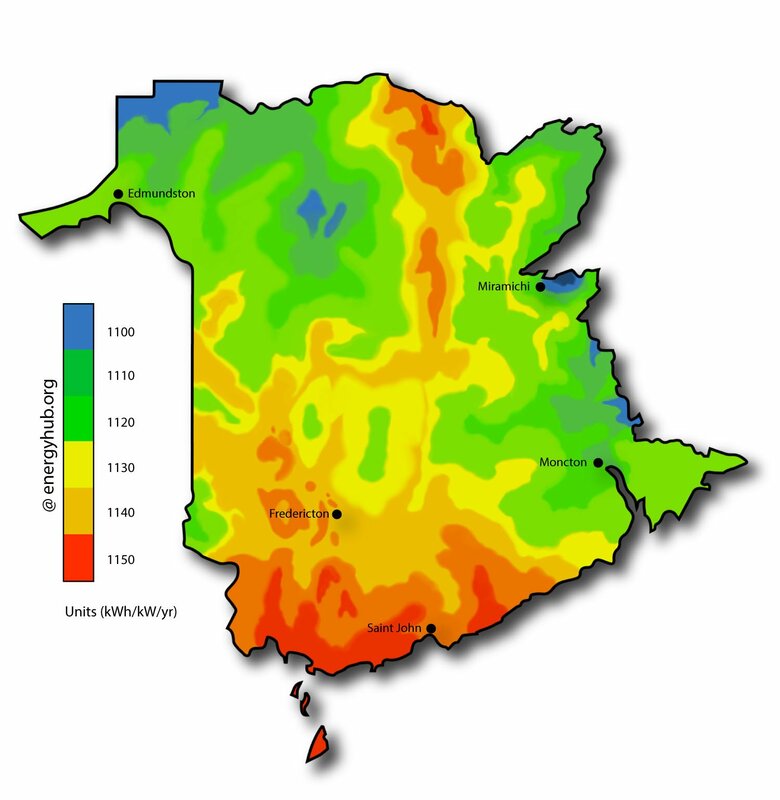 These solar energy maps are visual representations of the amount of energy that a solar photovoltaic system can produce based on the intensity of light that reaches the Earth’s surface, what we call Solar Production Potential. 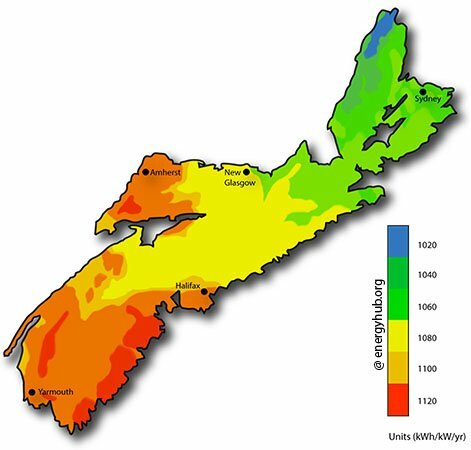 This number can then be used to calculate how many solar panels you would need to produce enough energy to offset your home’s electricity usage. For example, in a province with high solar energy potential like Saskatchewan – you would need less solar panels to produce the same amount of energy than in a province with a lower solar energy potential. We explain how to do this calculation in the “Basic System Information” section of every Provincial Solar Guide. 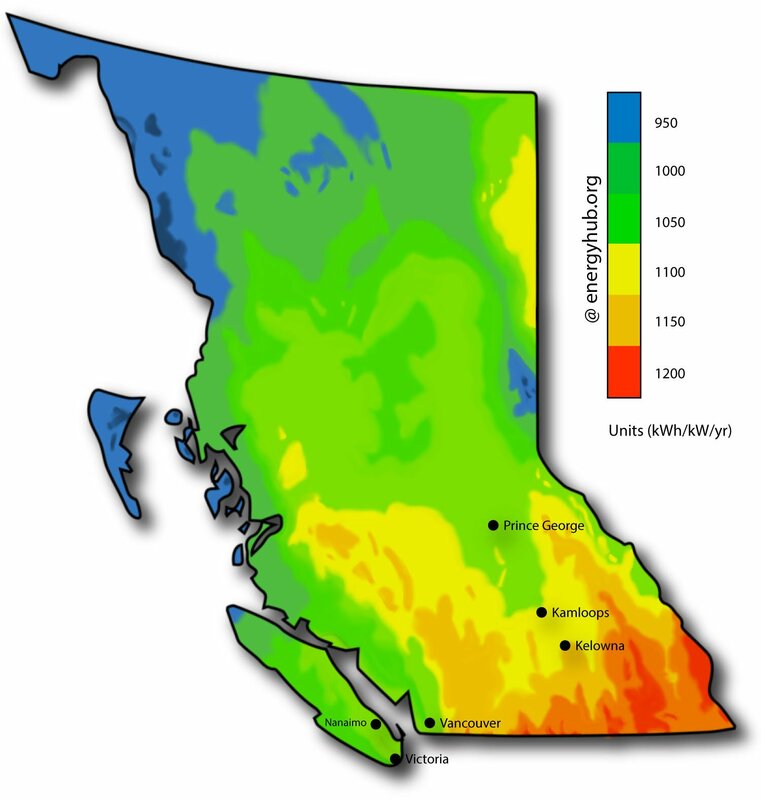 We’ve gone ahead and calculated the average solar production potential based on the five most populated cities for every province and territory. 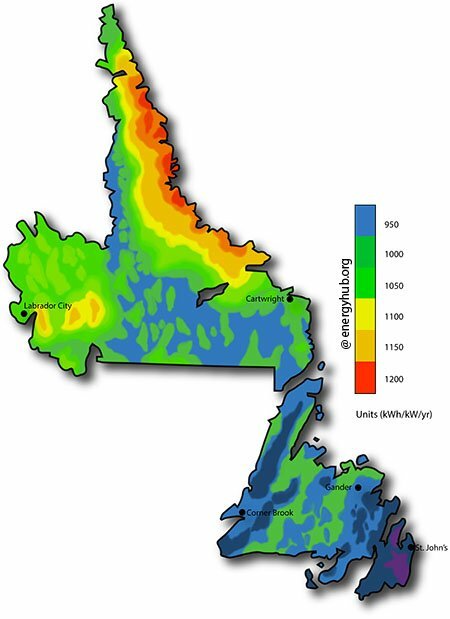 This capacity to turn light into electricity is also a major provincial ranking factor that we use to assess the relative feasibility of installing solar power across Canada. 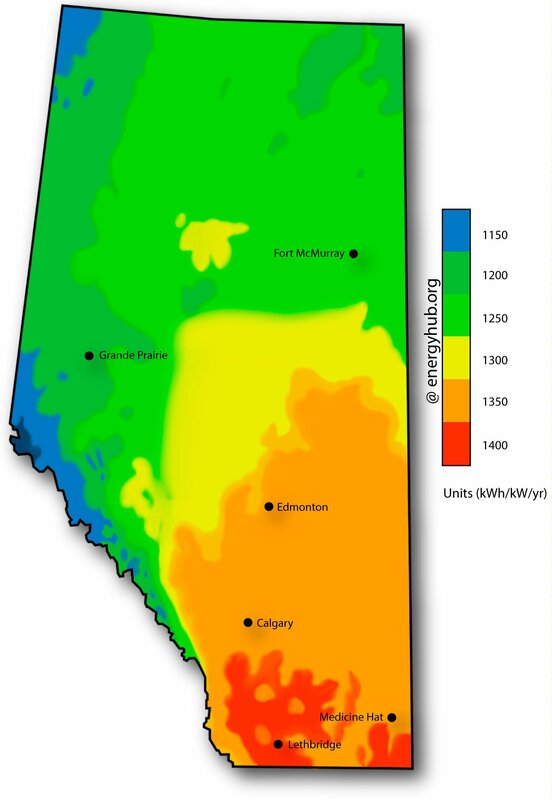 The best provinces to produce solar power in Canada are in the prairie provinces of Alberta and Saskatchewan, with Manitoba being a close third. 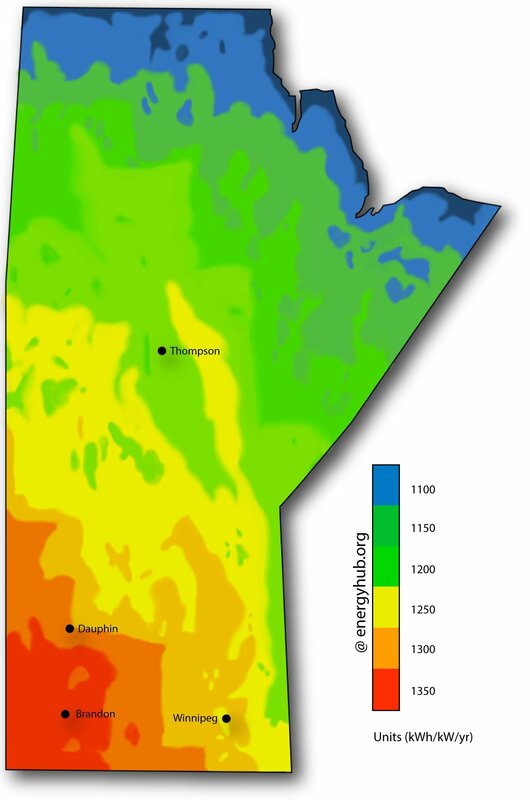 The worst provinces to produce solar power in Canada is the Yukon Territory and Newfoundland and Labrador. 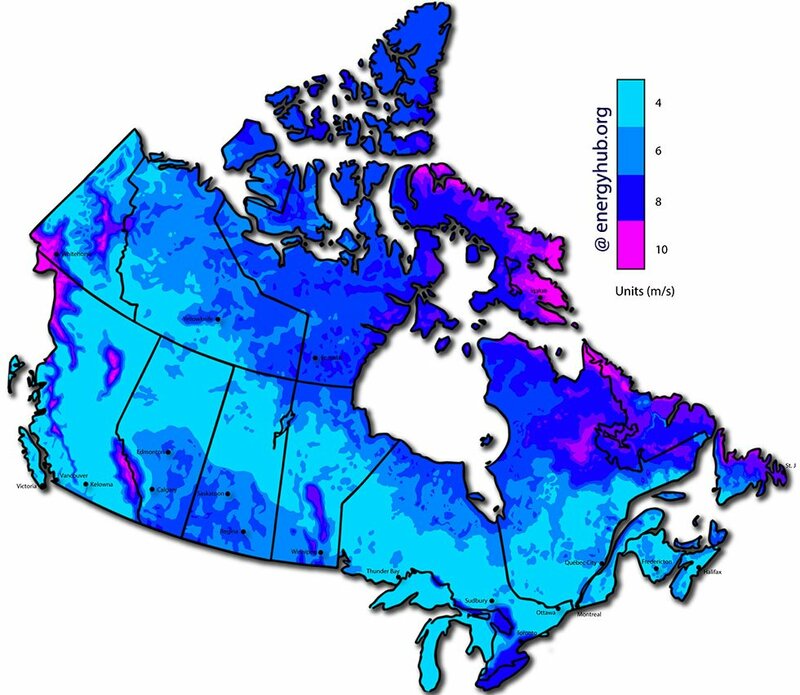 The variation between the best and worst provinces is due to the differences in average cloud cover and in the case of the Yukon, latitude. 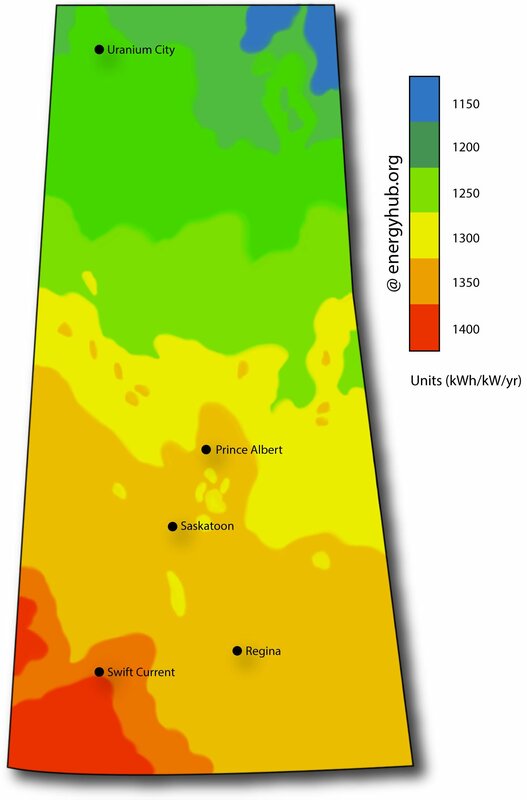 The best place in Canada for producing solar power is Torquay, Saskatchewan with a solar energy potential of 1384 kWh/kW/yr. 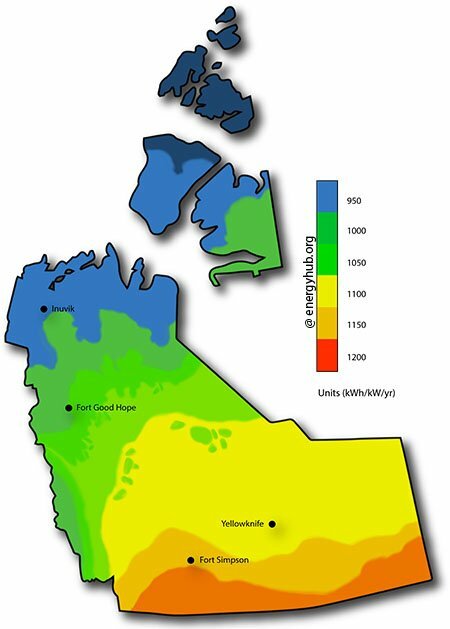 The worst place in Canada for producing solar power is at the small research base located in Eureka, Nunavut which has a solar energy potential of just 780 kWh/kW/yr. 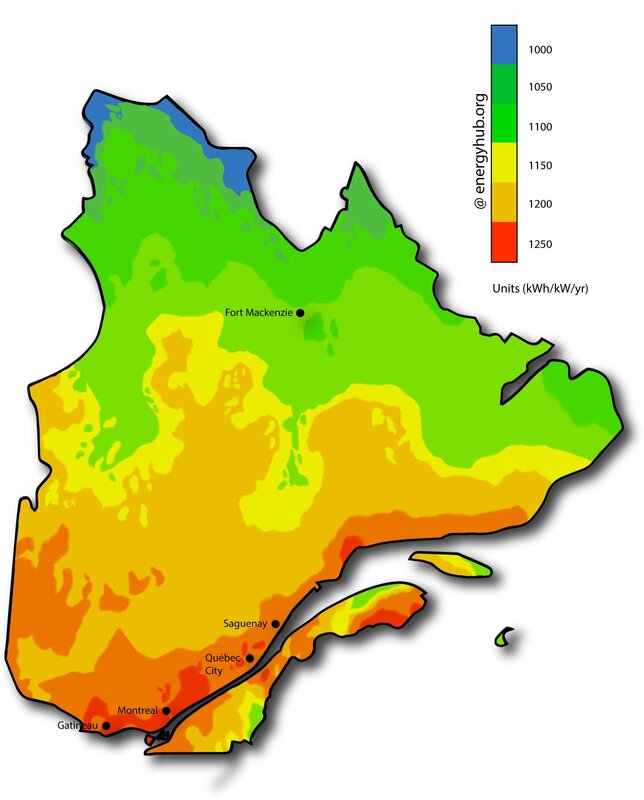 The variation between these two places is due primarily to the annual average amount of sunlight that reaches each (latitude). 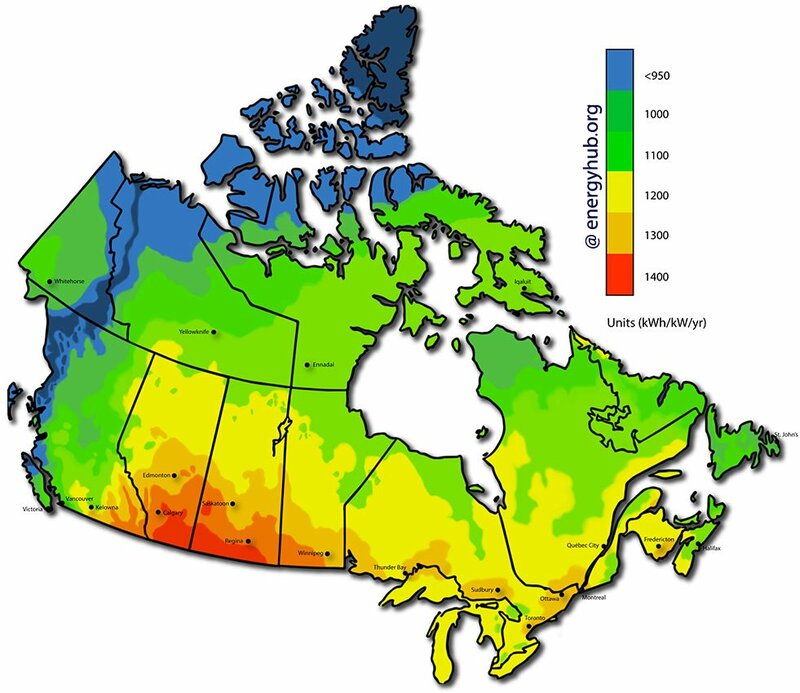 The best month for producing solar power in Canada is in April, when days are mid-length and skies are clear. 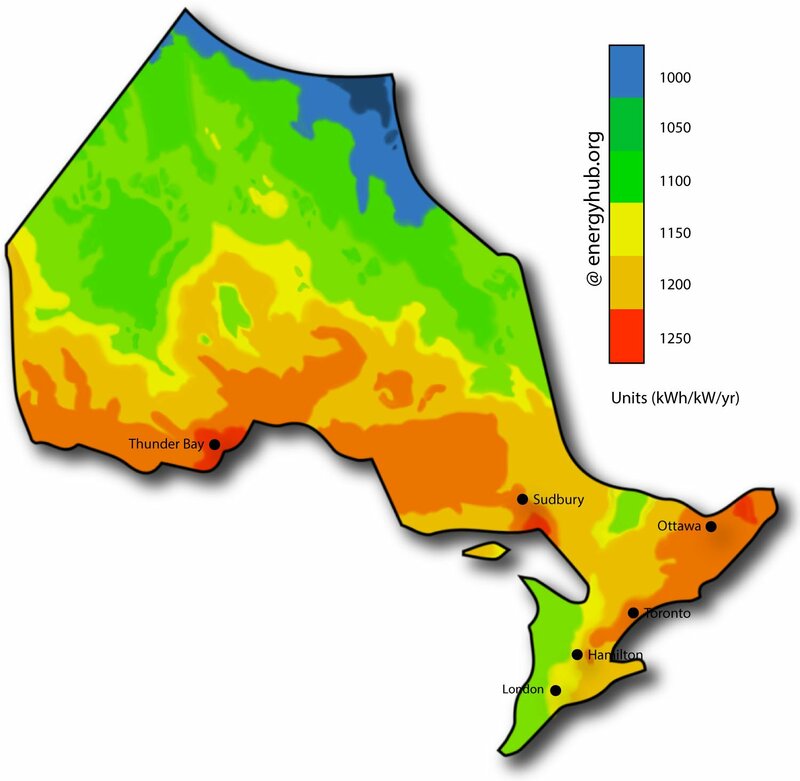 The worst month for producing solar power in Canada is December, when days are short. The average solar power system in Alberta will produce approximately 1276 kWh of energy per kW per year.